Here's one of a small set of rare black and white photos of the long-gone Walnut Mountain Ski Area dating from the 1930s. The others in the set are on the Memories of Liberty CD-ROM. 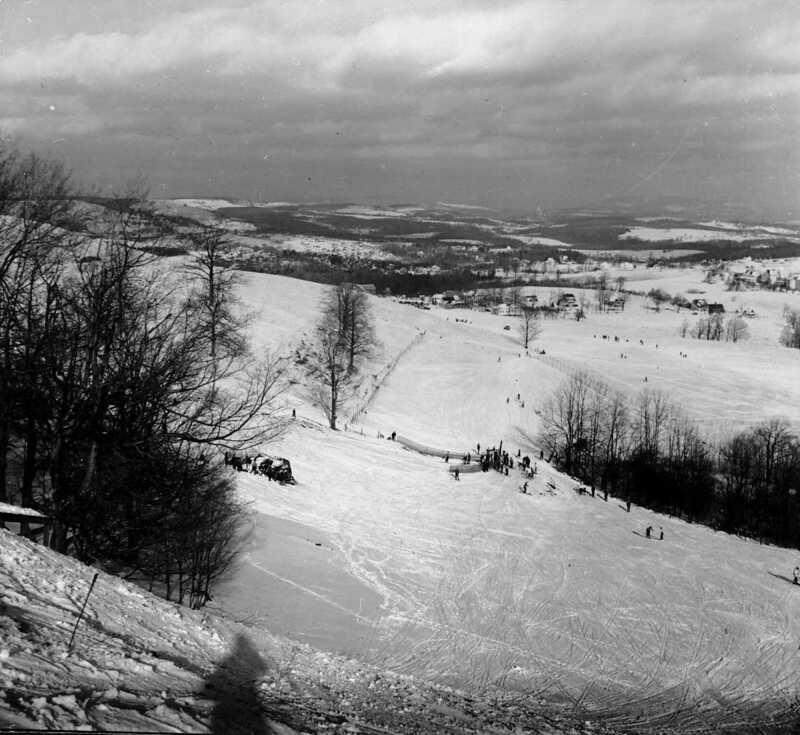 The Walnut Mountain Ski Area, in Liberty, NY, takes one back to a day when skiing was indeed a backyard sport -- one of rope tows, wooden skis, baggy pants, and a day when skiing had not yet split into downhill and cross-country categories. We've continued to turn up additional Walnut Mountain Ski Area material since Memories of Liberty was published. For example, we found a brochure published circa 1937 by Liberty Winter Sports, Inc. Click on the image below to see the first page of this brochure enlarged.